saw at once that it was impossible that the muslin should pass through it. The Princes were angry, and were beginning to com­plain that it was a trick, when suddenly the trumpets sounded and the youngest Prince came in. 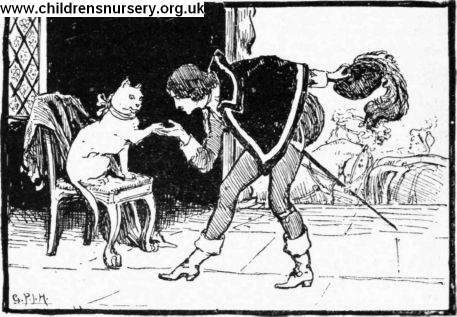 His father and brothers were quite astonished at his magnificence, and after he had greeted them he took the walnut from his pocket and opened it, fully expecting to find the piece of muslin, but instead there was only a hazel-nut. He cracked it, and there lay a cherry-stone. Everybody was looking on, and the King was chuckling to himself at the idea of finding the piece of muslin in a nutshell.